Yemeni civilians are struggling to stay alive amid fierce ground and air attacks in the raging battle to retake western coastal governorates from Huthi armed group control, and the worst could be yet to come, human rights NGO Amnesty International warned after carrying out a field investigation in the south of the country. The organization interviewed 34 civilians who arrived in Aden after the clashes displaced them from several villages and towns in Hodeidah Governorate between January and early May. 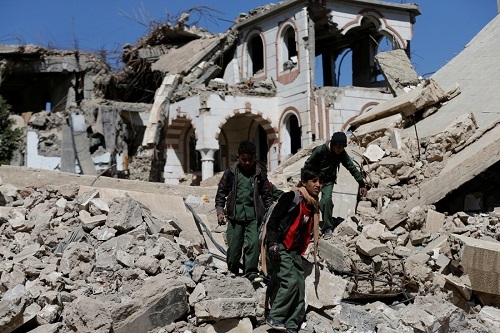 They spoke of terrifying mortar attacks, air strikes, landmines and other dangers amid the new offensive as forces loyal to the internationally recognized Yemeni government, supported by ground troops and air cover from the Saudi Arabia-led coalition, attempt to rout Huthi forces. “The human impact of this fresh military offensive on Yemen’s western coastal areas is clear in the distressing stories shared by civilians displaced by the conflict. It is a glimpse of what potentially lies in store on a wider scale if the fighting encroaches on the densely populated port city of Hodeidah,” said Rawya Rageh, Senior Crisis Response Adviser at Amnesty International. Since the offensive began in December 2017, many of those displaced from southern parts of Hodeidah Governorate described suffering sleepless nights and harrowing days as they huddled in their homes amid the bombardment. Civilians from Zabid, al-Jarrahi, Hays and al-Khawkhah – around 100-150km south of Hodeidah city and port – told Amnesty International how they and many others fled to Aden, in the south of the country, as fighting intensified. Some wept as they spoke of relatives and loved ones killed in the conflict. As both sides engaged in fierce clashes, an assortment of munitions, bullets and shrapnel ripped through civilian homes, and Saudi Arabia-led coalition air strikes also killed and injured civilians. “We left because of the bombardment and the war around us. They would fire mortars over our head. Every day people would die, every day we would see ripped bodies around us, blown to smithereens. Can we stay there? We had to leave to escape alive. We couldn’t live in such danger,” Hassan, a 26-year-old displaced fisherman from Qataba village in al-Khawkhah, told Amnesty International. Even after they escaped the fighting, some civilians continued to receive crushing news of loved ones being killed or injured back home. A woman from Qataba managed to escape to safety in Fuqum, on the outskirts of Aden, but other family members were not so lucky. She told Amnesty International how a relative who stayed in Qataba broke the news that her seven-year-old nephew was killed on 6 May when a mortar or other projectile landed on a shop where he was buying food. He and his father had stayed behind because they could not afford the trip to flee the fighting. Displaced civilians described an exodus as fighting intensified. According to the United Nations, clashes along Yemen’s western coast have displaced around 100,000 people in recent months, most of them from Hodeidah Governorate. Fleeing was costly. The vast majority of those Amnesty International spoke to said they could only fund the trip by selling precious belongings, such as wedding rings, property deeds and livestock. They paid to leave on private buses and trucks, forking out an average of 10,000 riyals (around USD$30 under the conversion rate used in Huthi-controlled territories) per person, a small fortune in the local economy, where the clashes had forced many to stop working. In some cases, large families paid up to 150,000 riyals (USD$480) to flee. Mined roads, Huthi checkpoints and other hazards along the way meant that, for some, what should be on average a six-hour drive to Aden became a terrifying ordeal lasting up to three days. Buses carrying fleeing civilians were blown up by landmines and other explosive devices allegedly planted by the Huthis in a bid to prevent government forces from advancing, and two people said they saw severed body parts along the route. A farmer interviewed in a hospital where his daughter is in intensive care said that as he was escaping with his eight children and other family members during the first week of May, they drove over a landmine that severely injured his 13-year-old daughter and killed his wife’s grandmother. Landmines are inherently indiscriminate and are banned under international law. One woman said she had a miscarriage as soon as she arrived in Aden, which she attributed to the fear and exhaustion caused by the journey. She managed to bring her two daughters, aged nine-months and four-years-old, with her, but in the chaos of the clashes she left her mother and her seven-year-old son behind in Qataba. Several people told Amnesty International they had attempted to leave Hodeidah Governorate up to three times before finally succeeding. Huthi forces allegedly branded some civilians ‘terrorists’ for abandoning their towns and villages, and in other cases people said they were aware of Huthis forcing busloads of fleeing civilians to turn back. Some of the displaced have scattered across relatively more secure parts of Hodeidah Governorate. Others have traveled to different southern governorates, including Aden, Lahj and Abyan, as well as eastward to Hadramawt and Mahra on the far side of the country. In the absence of formal camps for internally displaced persons (IDPs), many of the displaced civilians interviewed by Amnesty International in Aden have sought makeshift shelter in precarious settings, including buildings under construction or crumbling structures that were badly damaged in a previous round of fighting between the Huthis and government forces in Aden in 2015. Reminders of that earlier conflict abound – from flattened buildings to signs warning of landmines in the area. Those displaced in recent weeks said the battle lines are constantly shifting as government and Huthi forces take control of different areas. Civilians caught in the middle face a range of violations of international humanitarian law by both sides. Huthi fighters have fired mortars, which are notoriously imprecise, repeatedly into populated civilian areas. According to a man from Hays, one hit a hospital courtyard on 25 March, injuring his 13-year-old son and killing a pharmacist and a nurse. The use of mortars in the vicinity of concentrations of civilians violates the prohibition on indiscriminate attacks. Huthi forces further endanger civilians by basing troops and vehicles in civilian neighbourhoods. They have also allegedly mined roads and have otherwise prevented civilians from leaving; in other cases they have expelled people from their homes in areas recently taken from government control. 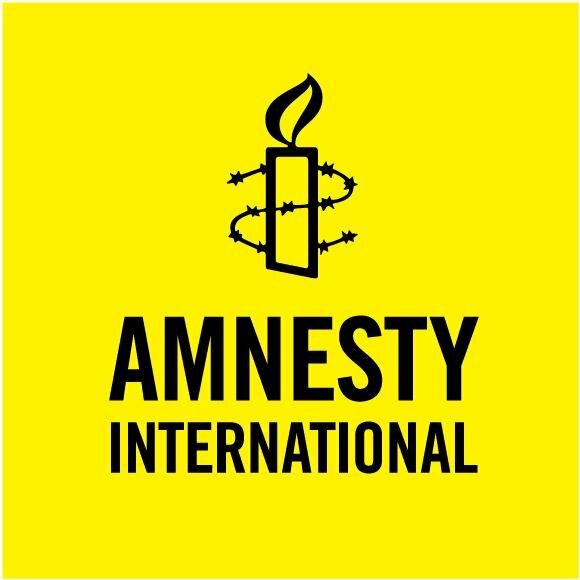 A woman from al-Jarrahi told Amnesty International how Huthi forces have forcibly recruited civilian men and boys, including her 13-year-old brother. Survivors have also said that Saudi Arabia-led coalition air strikes had killed civilians, leaving them in constant fear for their lives. Displaced civilians described how three civilians were killed in two air strikes in Zabid and al-Jarrahi in January. “The most vulnerable among the civilian population are bearing the brunt of this new offensive in Yemen’s war. All sides must abide by international humanitarian law, including taking all feasible precautions to minimize civilian casualties and the destruction of homes and civilian infrastructure,” said Rawya Rageh.